Paying for your new Volkswagen doesn’t have to be a scary process. 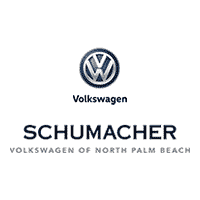 The finance team at Schumacher Volkswagen of North Palm Beach, Florida, makes loaning or leasing your next car a quick, easy, and personalized process. We have strong relationships with local financial institutions, making it easy for us to build a lease or loan deal that suits your unique needs. Have bad credit or no credit? We have low-interest loan options available for people with existing loans.